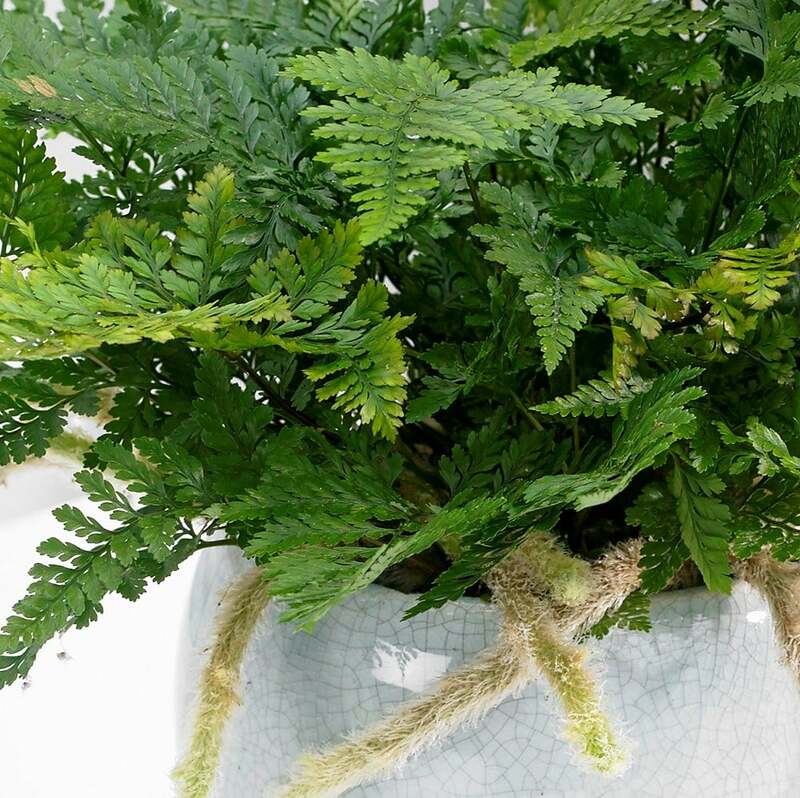 The foliage of this plush fern is a rich green, and it unfurls from softly hairy rhizomes that creep along the top of the compost and eventually dangle over the sides of the pot. 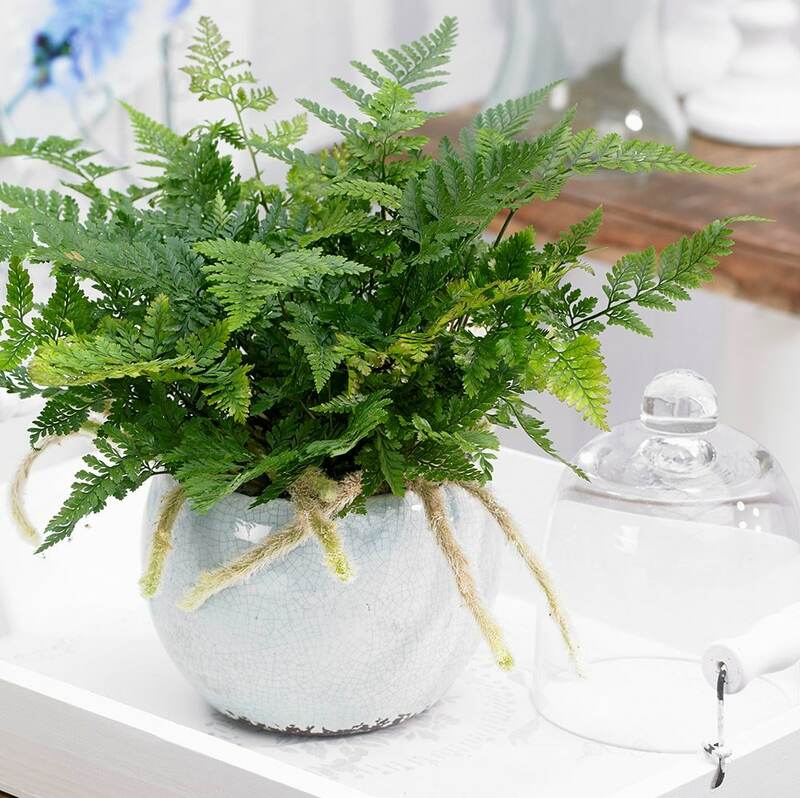 This is one of the easiest ferns to grow. It will flourish in a brightly lit spot (away from direct sunlight), and as it loves high humidity, is happiest in bathrooms or kitchens - ideally away from radiators. Please note that the pot in the photograph is not supplied with the plant (which is sent out in a black plastic pot). They do however make excellent potted plants, and if you wish to pot yours up, we do have a wide range of pots on our website to choose from.